A man found guilty of assaulting two of his sisters following a trial at Jedburgh Sheriff Court has been ordered to carry out 90 hours’ unpaid work. Danny Sharkey, 25, had denied carrying out those attacks at a house in McLagan Drive in Hawick on September 17. 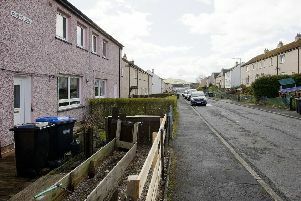 Sharkey, of Wellfield Road in Hawick, was told he has to complete his community payback order within the next six months.